I absolutely adore Dr. Kahle. She bought the practice that I grew up going to and I'm so super happy that she did. Now that I am in the dental business, I get asked who is my personal dentist is. Everytime I mention her name, I get the, "Wow, Dr.Kahle? I hear her patients just love her!" and I always feel prideful the she is my dentist. She is truly amazing at what she does and her staff is wonderful. 6800 Palm Ave, Suite F.
Sebastopol Dentist, Dr. Stephanie Kahle is dedicated to family dentistry such as Exams, Teeth Whitening, Veneers, and more. 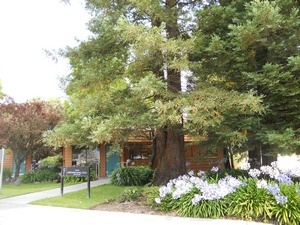 We are looking forward to your visit to our Sebastopol, California dental office.